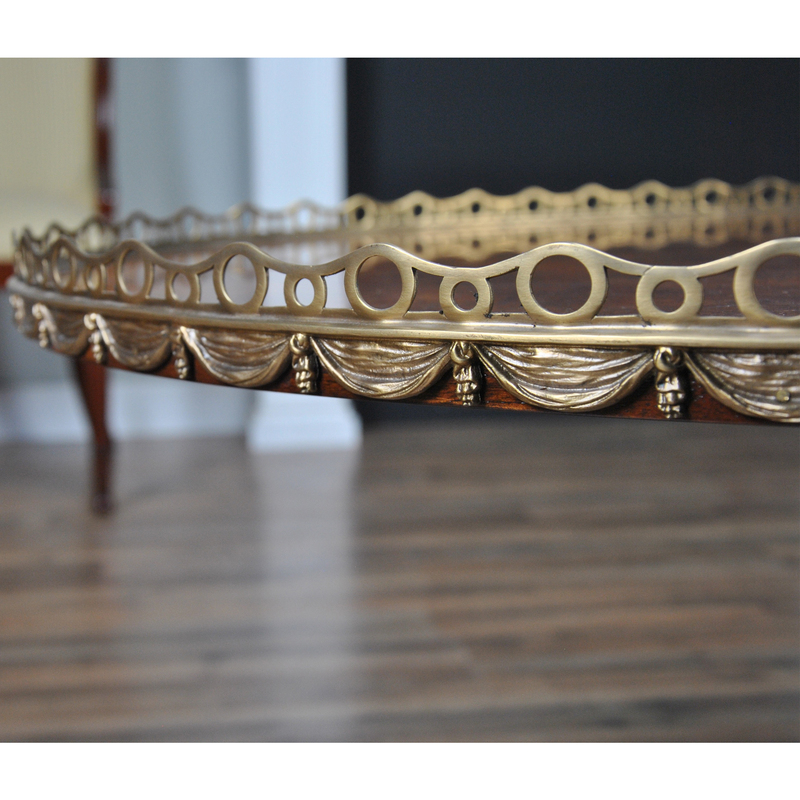 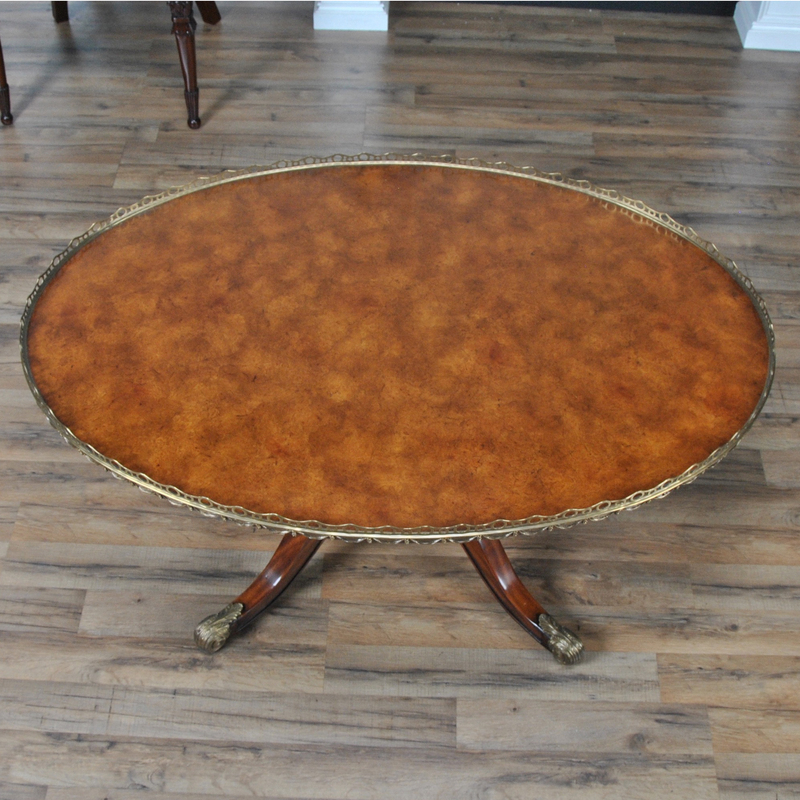 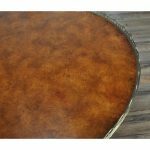 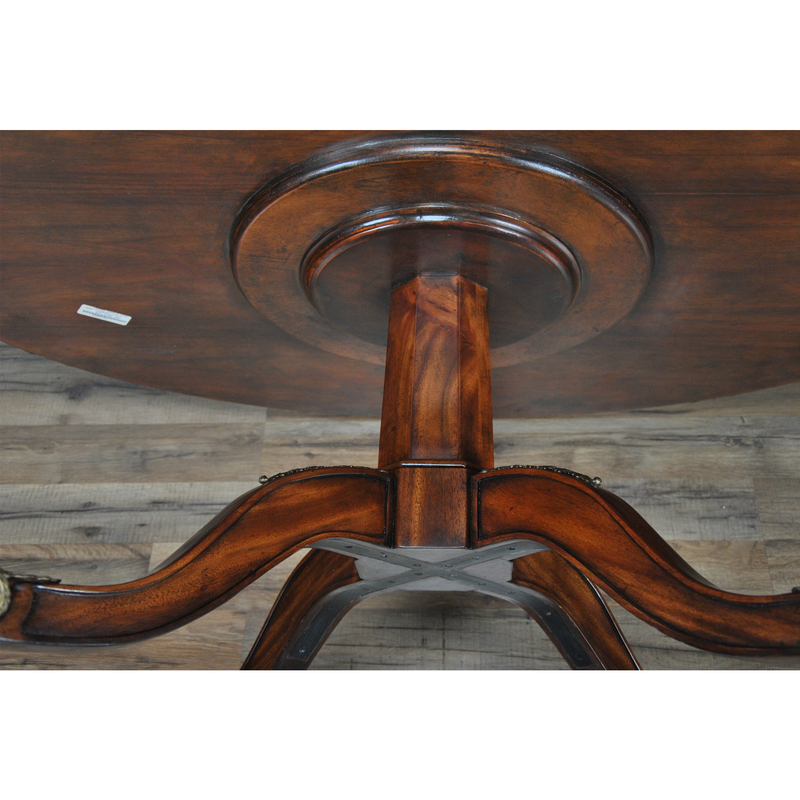 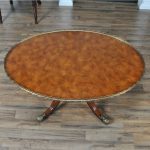 From Niagara Furniture a vintage Theodore Alexander Oval Coffee Table in excellent original, as found, condition. 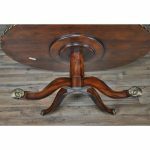 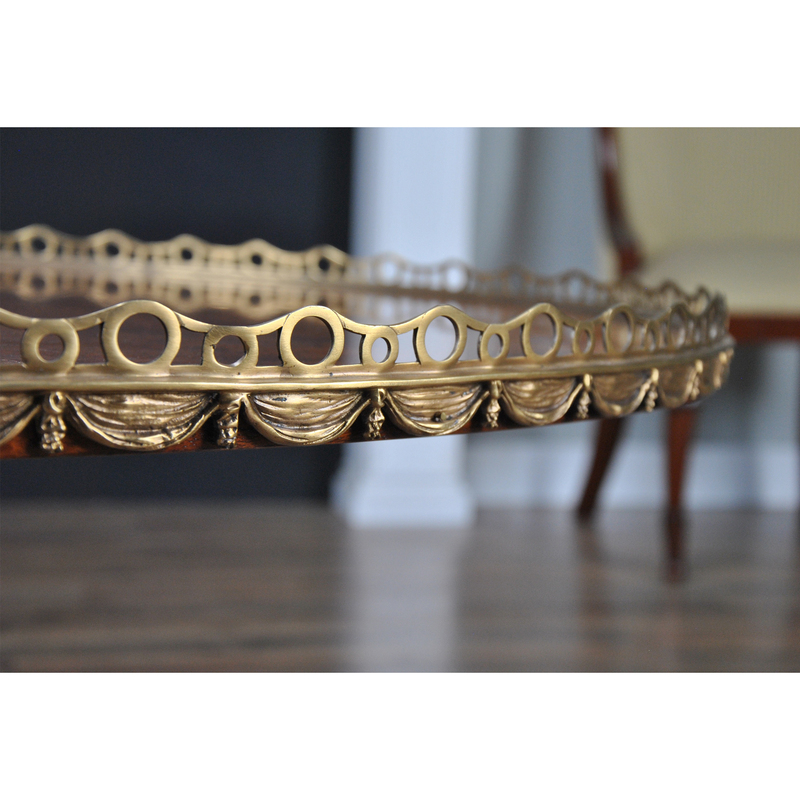 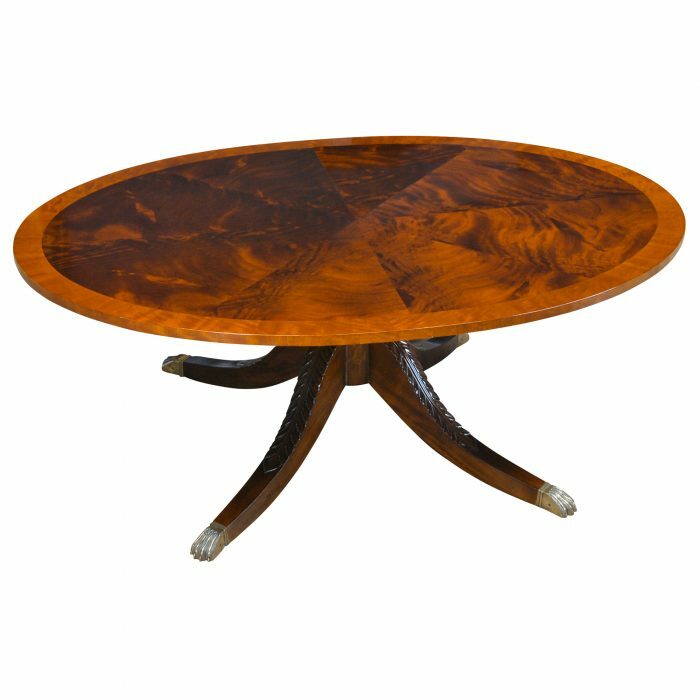 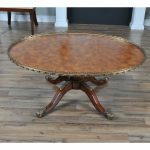 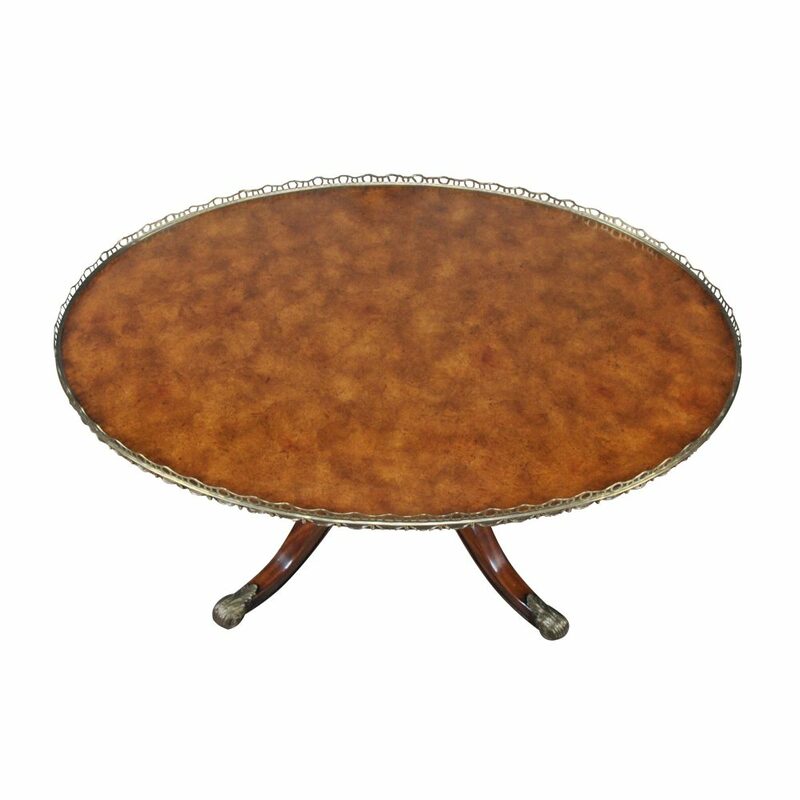 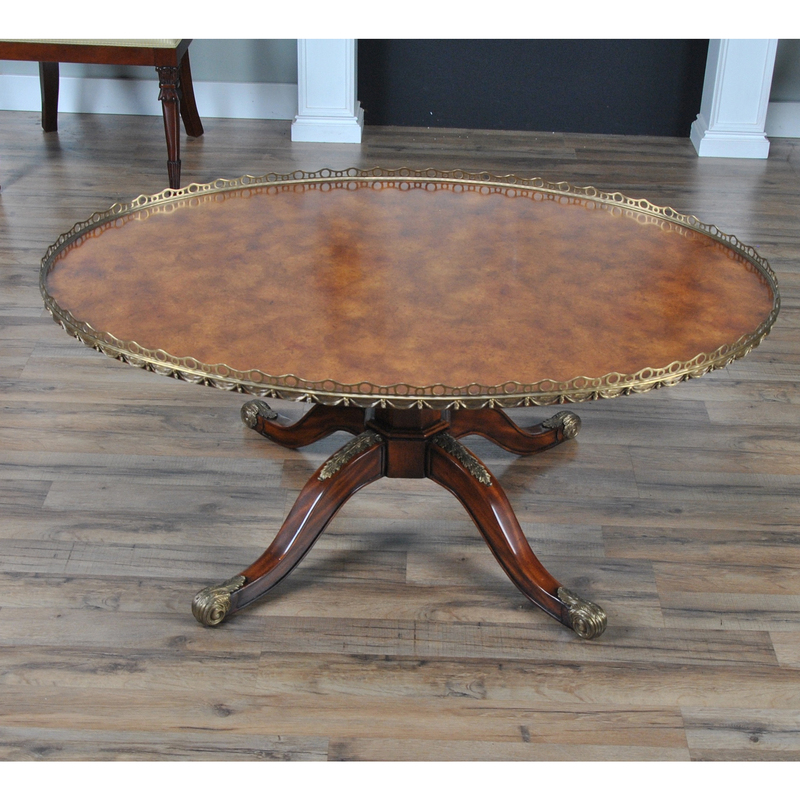 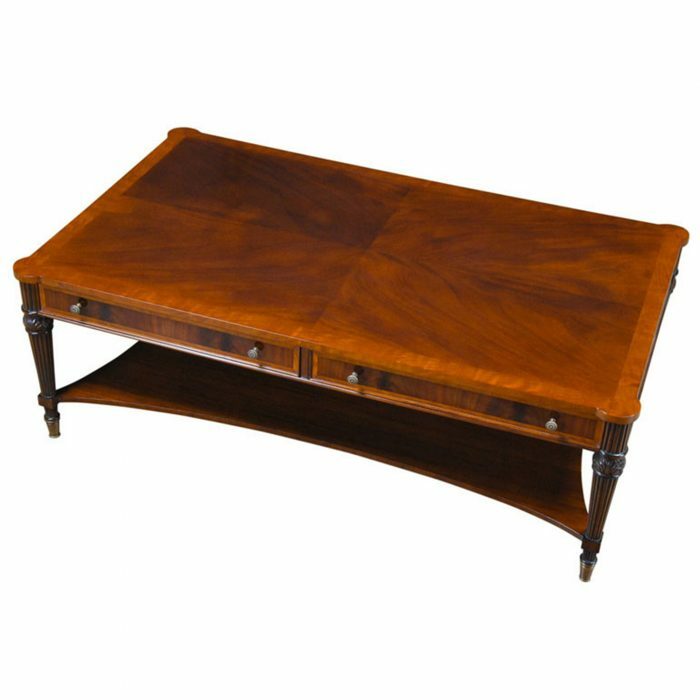 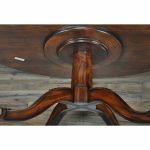 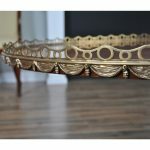 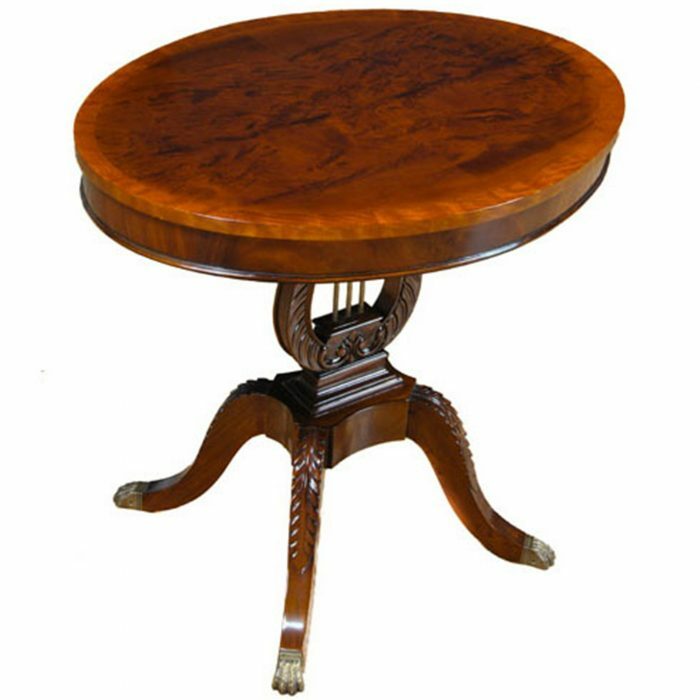 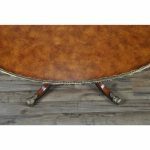 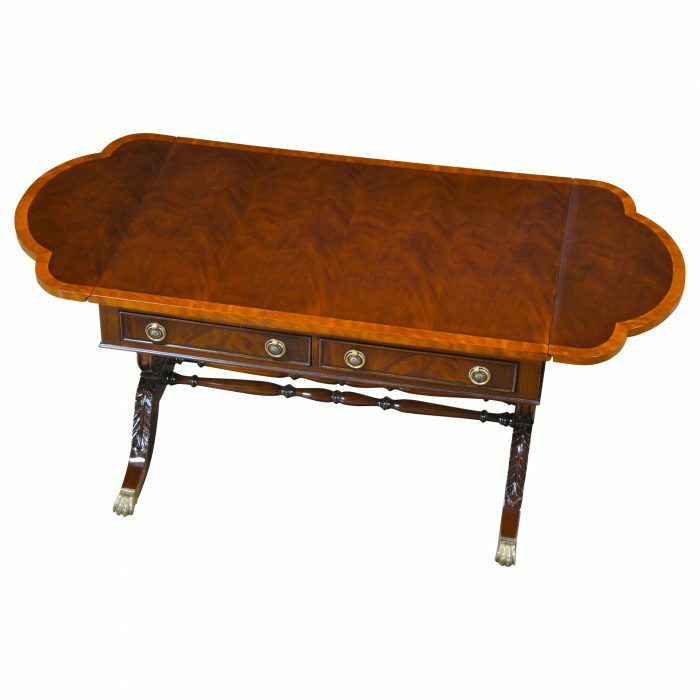 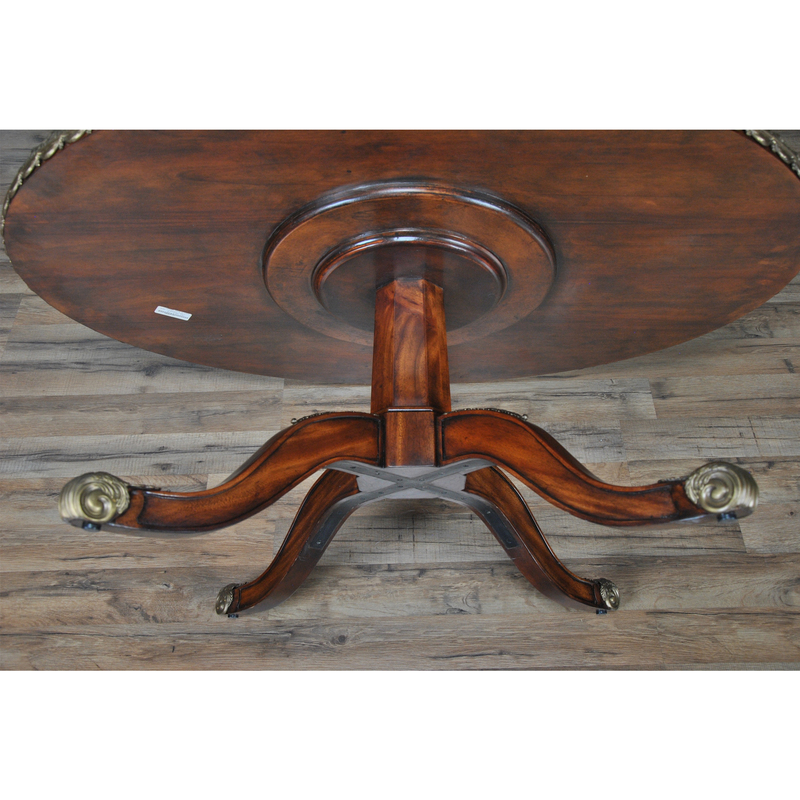 Both elegant and incredibly detailed this beautiful Theodore Alexander Oval Coffee Table has everything one could ask for as a center point for your living room. 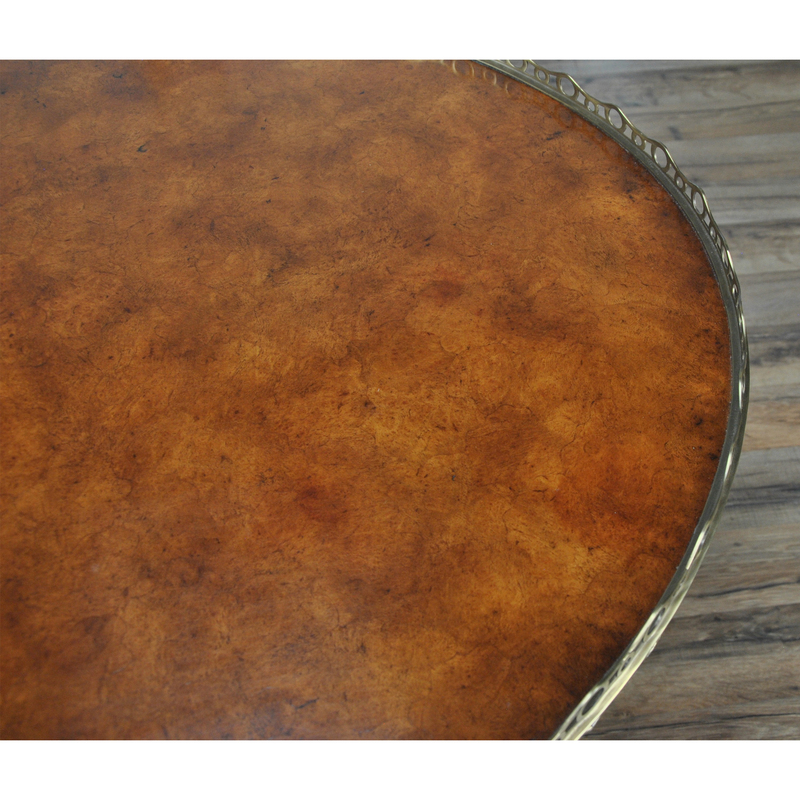 A beautiful hand detailed brass gallery surrounds the top of the cocktail table while the finest burled veneers create an interesting and textured surface. 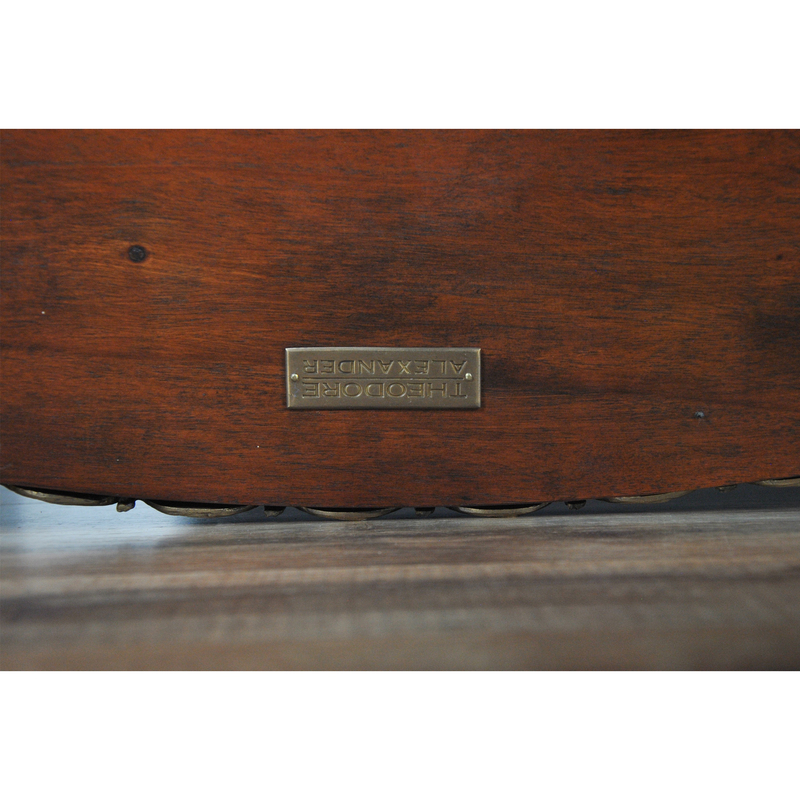 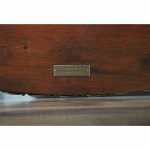 On the bottom of the table is the original manufacturers brass label, a photo of it can be seen in this listing. 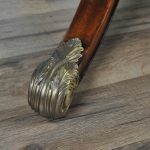 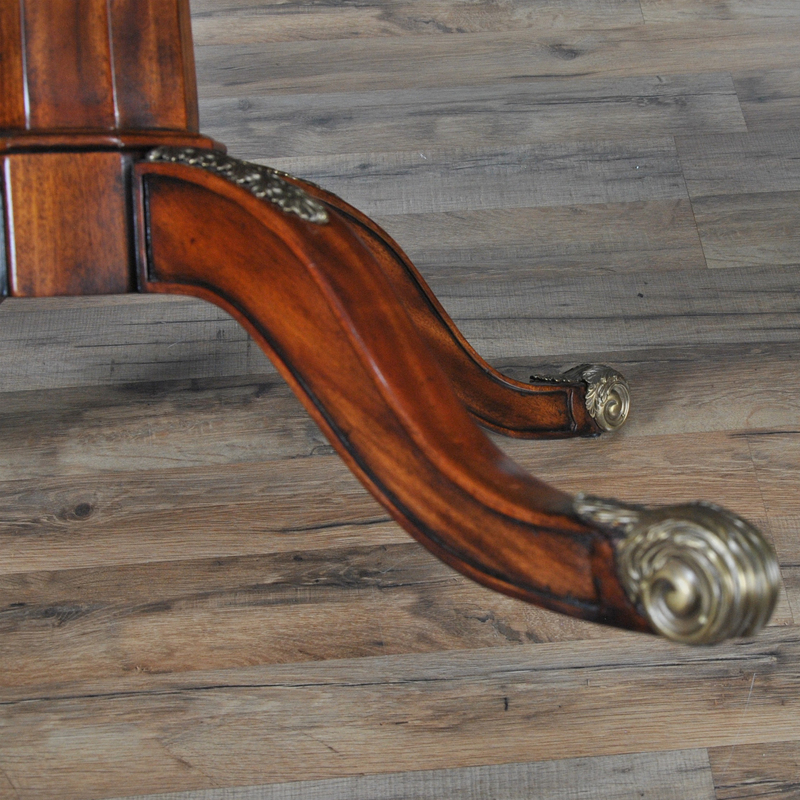 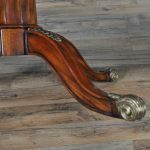 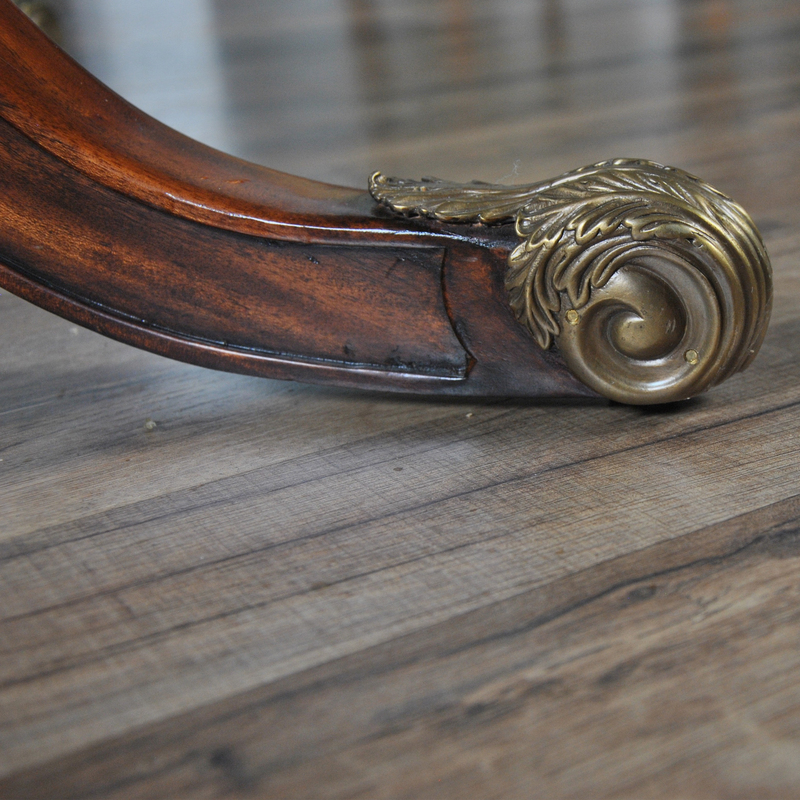 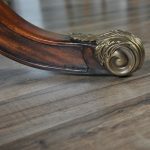 High quality construction throughout is exemplified in the solid, hand carved mahogany legs, capped with beautiful brass feet. 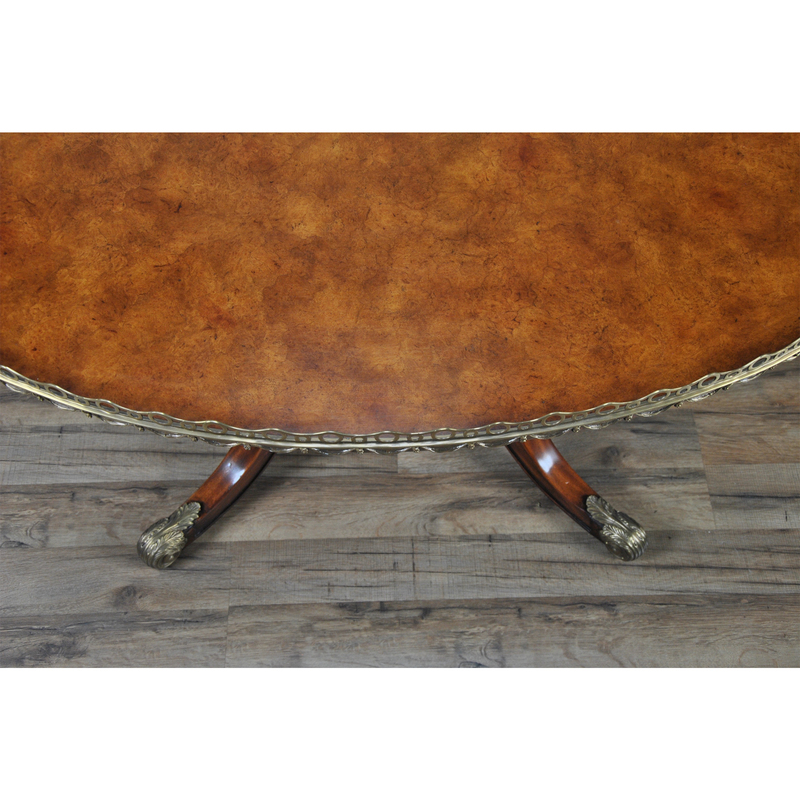 Also of note are the heavy duty steel straps hidden beneath to ensure this table will last a lifetime.